The first print edition included in a Print or Premium subscription is the forthcoming issue, not the current issue. To add the current issue to this gift, check the box below. 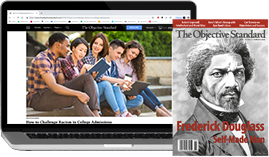 First Print Issue: The first print edition included in a Print or Premium subscription is the forthcoming issue, not the current issue. The current issue can be purchased separately by checking the appropriate box above or via our back issues page in the menu bar. Publication Dates: New issues of The Objective Standard are published on the 20th of February, May, August, and November and remain the current issue until the publication of the next issue. Shipping: Shipping for Premium and Print subscriptions to addresses within the U.S. is free; to Canada or Mexico, $15; to all other destinations, $20. Questions? 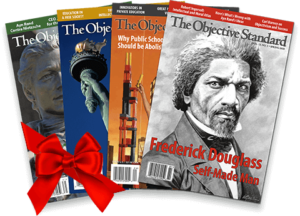 If you have questions about TOS subscriptions that are not answered below, please contact support@theobjectivestandard.com. When are new issues of TOS published? TOS is published quarterly, on the 20th of February, May, August, and November. The Website edition is posted on the 20th of those months; the Ebook edition on the 25th; and the Audio and Kindle editions on the 28th. The Print edition is mailed (approximately) on the 28th as well. Which print issue will be the first in my Print or Premium subscription? And when will I receive it? The first print issue included in a Print or Premium subscription is the forthcoming issue, not the current issue. (The current print issue can be purchased separately.) 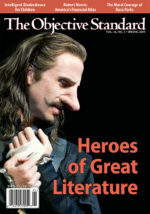 Newly published issues are mailed (approximately) on the 28th of February, May, August, and November. The postal monopoly claims to deliver periodical mail within ten days, but sometimes it takes substantially longer. If you’ve not received your copy within two weeks of the shipping date, please let us know and we will mail you another copy at no additional charge. How do I access my electronic TOS subscription content (e.g., Website, Ebook, or Audio)? To access TOS articles on our website, visit any page you’d like to view. If you’re logged in and your subscription is current, you should have access to all current- and back-issue articles. 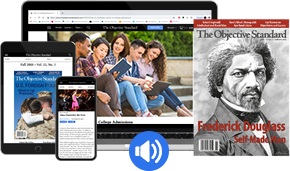 To access Ebook or Audio content, visit the Issue Page of the issue you’d like to access, and click the “Ebook” link located under the “Subscriber Files” header. The file should then download to your device. 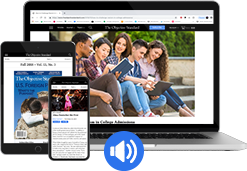 To access Audio content, visit the specific article you’d like to access, and click the “Audio” link near the title. The file should then download to your device. Yes. You can create additional subscriptions at any time. You can also have multiple Print subscriptions sent to different names and addresses.